Kids Personalised Name Stickers - Pretty tree and robin decal with a name underneath to go in your child´s bedroom. 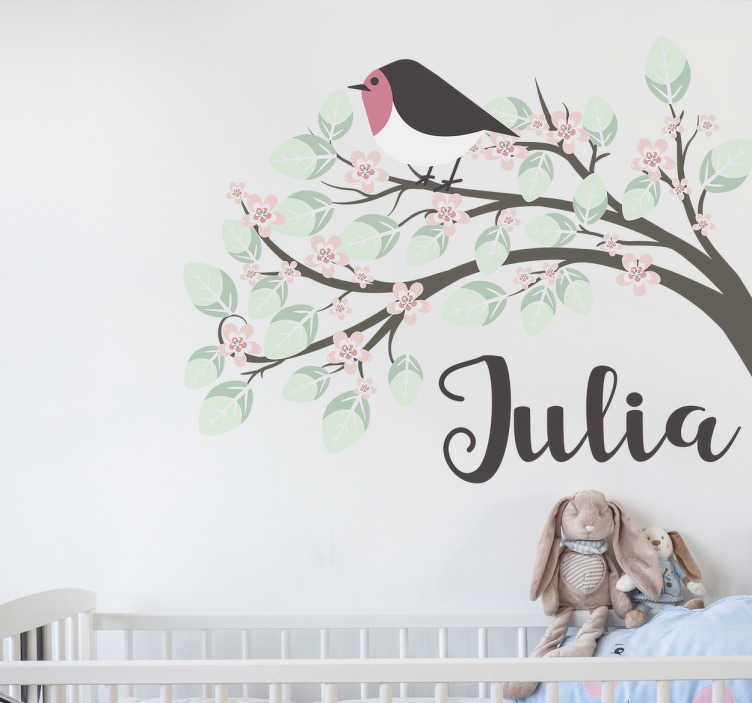 Make your youngest feel special and give them a wall they will love with this lovely tree wall sticker with a robin sitting on the branch. The branches also have pink flowers through it, adding even more decoration to your wall. Our custom name stickers are easy to apply and leave no residue on removal.